As they say 40 is the new 30 and when it comes to dressing, with a few age-appropriate alterations this decade can be a continuation of your youthful past. Like you’ll hear me say many times in this blog style is very personal, but your personal style should grow and evolve just as you have. A small tweak to a wardrobe favorite can be the difference between looking like a well put together man or a walking mid-life crisis. 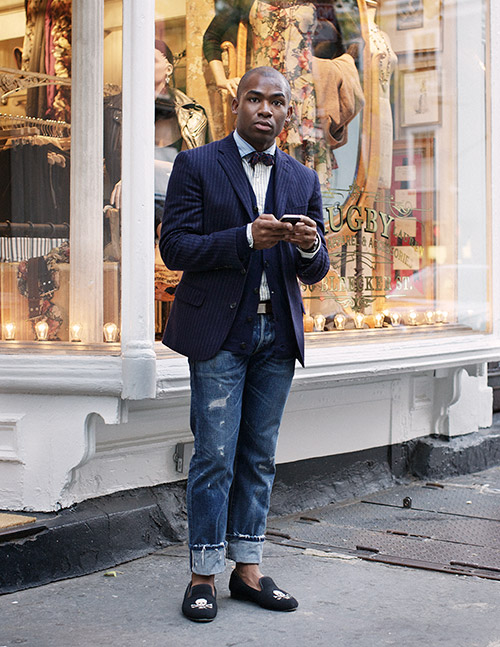 Take those pair of distressed jeans for example. Back in your 30s they looked great with a t-shirt and a pair of Chuck Taylors. But why not refresh that look and breath new life into those jeans. 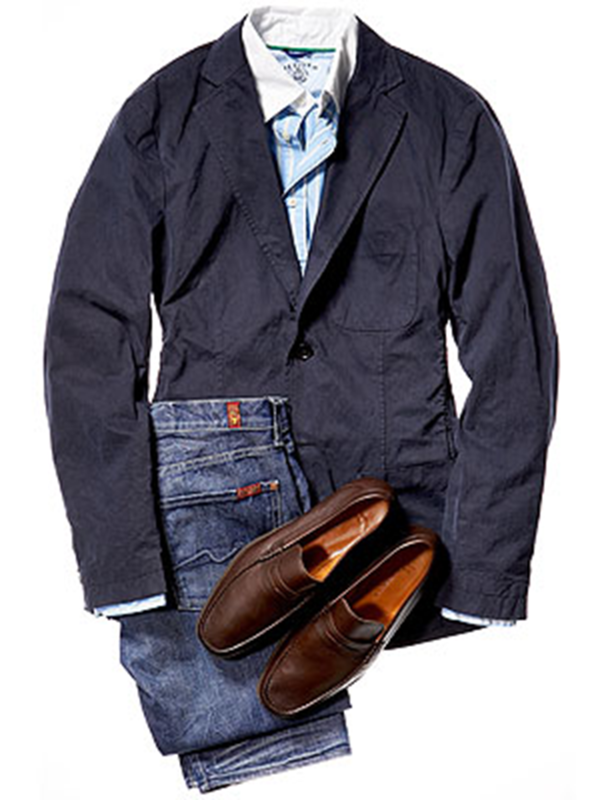 If your jeans are the right cut (straight, not baggy) dress them up and refresh your Casual Friday look. 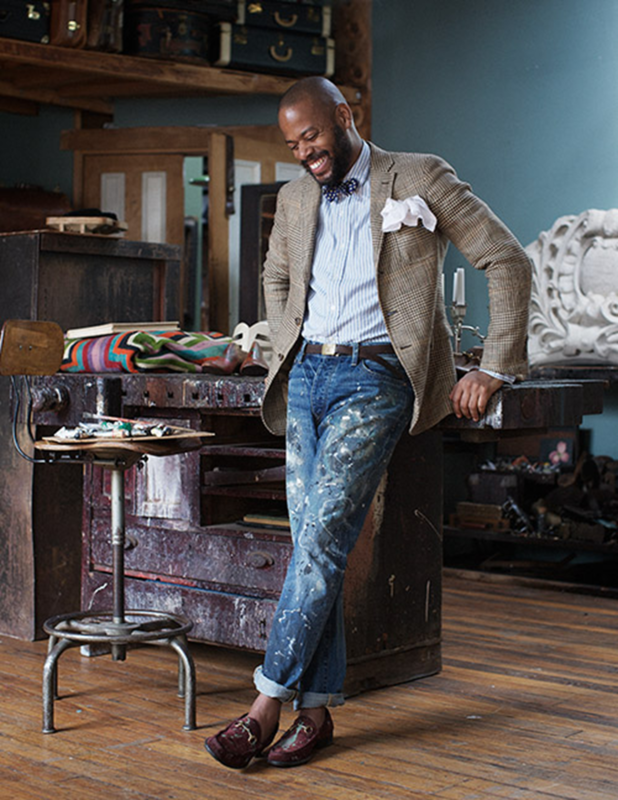 Instead of distressed jeans with a t-shirt, switch it up with a dress shirt and blazer.